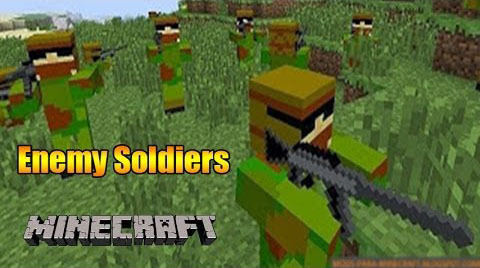 What does Enemy Soldiers Mod do? 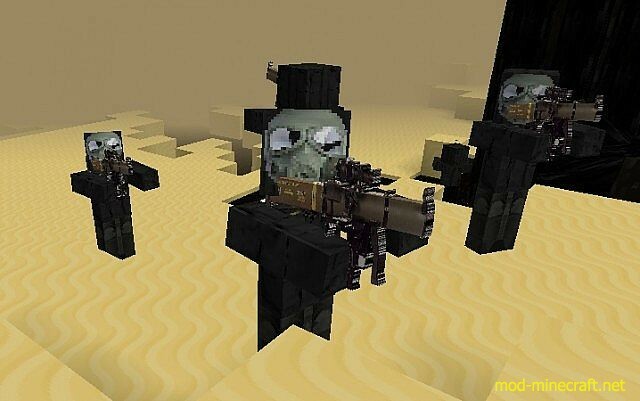 The mod adds three new mobs to Minecraft: The enemy soldier the friendly soldier and the Grenadier. Two new weapons are added along with ammo. The assault rifle and the rocket launcher. Visit the original mod thread here for all mod info. Weapon Description: The guns in Enemy Soldiers are used just like a bow and arrow. The weapons can be rapidly fired but do more damage if you hold down the right mouse button longer. The pistol is the weakest weapon but is very cheap to craft. The assault rifle is stronger but consumes more ammo. The shotgun is stronger than both the pistol and assault rifle but cannot shoot as far. The lever action rifle is the strongest long range weapon other than the sniper rifle. The sniper rifle is the strongest weapon but is the most expensive to craft. Sentry Turrets: Sentry Turrets are entities that can be crafted and placed into the world. 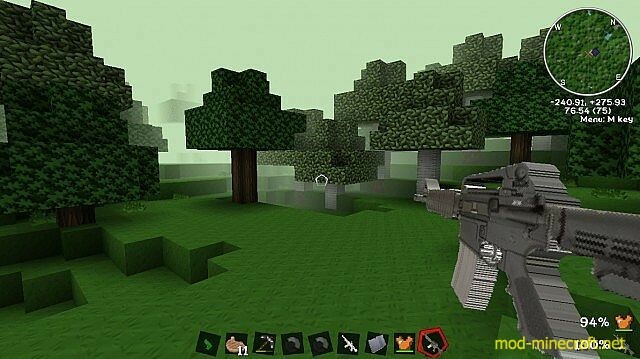 They are used to defend your home from mobs and other players. The turret will attack anything that moves, including you. You can use pistons to cover them up if you need to pass them safely. It is best to surround the the turret with blocks except for the front. This is so nothing can knock the turret out of place by shooting it. Explosive Targets: Explosive targets are entities that can be crafted and placed into the world. They explode when they take any damage from falling, being shot or hit with a weapon. Explosive Targets can be used for target practice, as a weapon, or to ignite tnt. 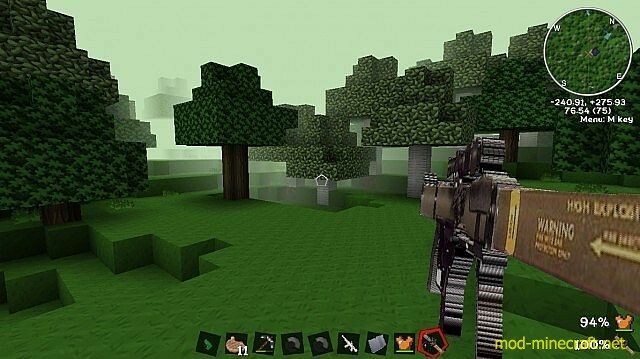 Armored Vest: The armored vest is an extremly tough chestplate included to create balance if you are playing with no other mods installed. 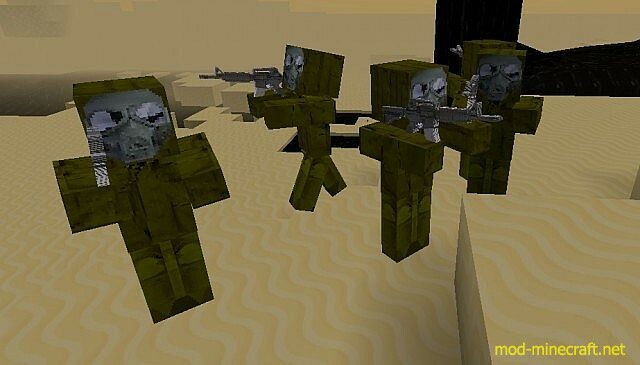 Vanilla Enemy Soldiers: The Vanilla version of Enemy Soldiers reduces the health and attack damage of the Soldiers to work well with the standard minecraft armor and weapons. A download link for this version can be found below. This version is outdated and lacks some bug fixes. ES ? 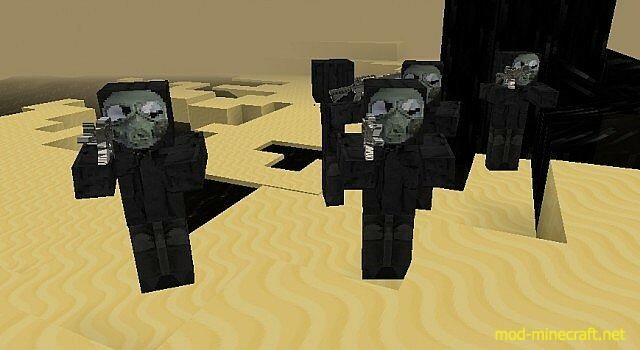 Zombie Apocalypse: The Zombie Apocalypse version of Enemy Soldiers replaces the soldiers with powerful zombies. The zombies spawn both at night and during the day but can move faster at night. This version of the mod also adds a sledgehammer as a melee weapon. The crafting recipe is shown below.